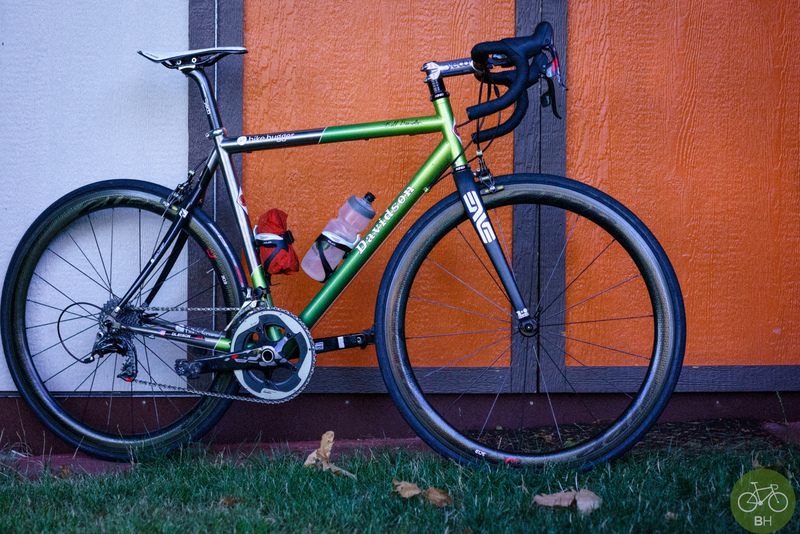 Back in Seattle, to the comforts of home after a trade show, and pulled a fav Davidson out of the shed for a ride. In Issue 16 of our magazine, Patrick Brady from Red Kite Prayer writes for us about the loss of another great American shop, like Elliott Bay Bicycles where this bike was made. It’s the featured cover story and free to read. There came a point when a handful of shop owners got smart and found frame builders who would work in-house. It was like a car dealer with its own in-house body shop, only better.